We perform all kind's of general dental treatment including non complex wisdom tooth extractions. Some complicated dental conditions call for surgical removal of the affected tooth. An oral surgery is just like any other minor operation and so we take proper precautions to avoid any infection to the area surrounding the affected tooth. Wisdom teeth are the large teeth appearing at the four innermost corners of your mouth between the ages of 17 and 25. Most people won't have enough room at the back of their mouth for the wisdom tooth to come up. In such a scenario, the wisdom tooth will get pushed against the neighbouring teeth and grow out at an angle. The roots of the wisdom tooth might penetrate the flesh, causing severe infection and swelling. The only way to fix this is to surgically remove the affected wisdom tooth. Our dental surgery specialist at Bromley will take an x-ray or CT scan of your mouth before deciding on the surgery. The surgery is performed under a local anesthetic. Most patients require only the local anesthetic injection. However, some patients get tensed up when they hear that an oral surgery is needed to fix their dental condition. Such patients undergo surgery under sedation. Dental surgery at Bromley Dental Studio causes minimal discomfort to the patients as our dental surgeons are very experienced and skilled. To ensure that the affected area heals fast and there is no risk of any infection, we urge our patients to strictly follow the advices given below. • Eliminate hot food from your menu for at least 24 hours after the surgery. • If any blood clot is formed after the surgery, leave it as it is. Do not try to touch or apply anything unless you are asked to. • Make sure you rinse your mouth only after 24 hours, that too very gently using slightly warm salty water. • After 24 hours, you can brush your teeth gently. You must keep your mouth free of germs until the wound is healed. • The swelling and pain will last for a couple of days. Your surgery specialist at Bromley Dental Studio will prescribe painkillers if needed. • If you feel pain even after a few days of the surgery, please consult the doctor. 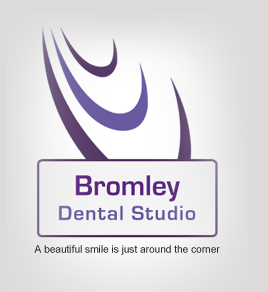 If you are looking to undergo dental surgery at a clinic on Bromley Road, pay a visit to Bromley Dental Studio. We guarantee you the best dental surgery available on Bromley Road.